...and more mysteries are formed. Hmmm, and how much of that family Alfred had is still alive, and if so, are they in a lucid condition? 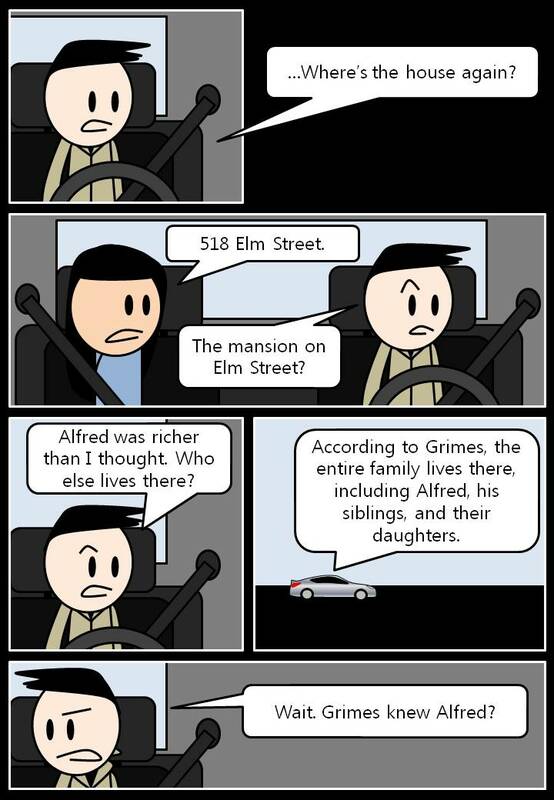 Elm street huh? Does Grimes happen to know anyone of the name Fred?